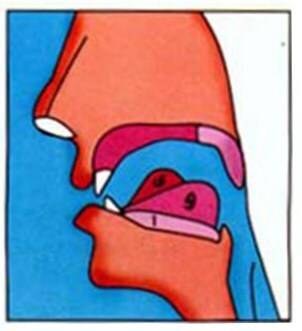 Al-Halq: emerging from the throat are six letters. 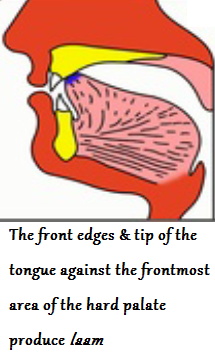 Within the throat, there are three points of articulation. Two letters emerge from each makhraj. Let’s take a look at these with detail. 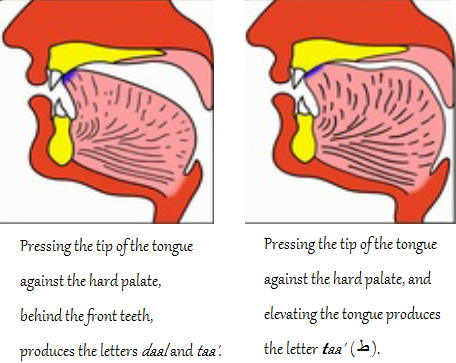 It is erroneous to pronounce these two letters from the mouth, and every effort should be made to distinguish the upper throat from the inner mouth area. Note that ghayn is articulated from the same makhraj, but just below the khaa. 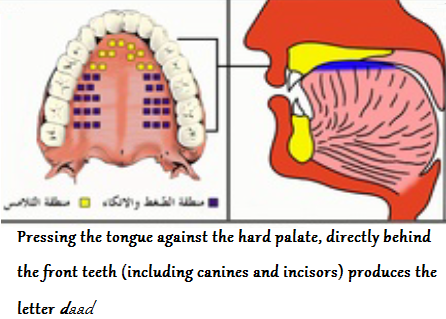 It is important to understand that haa ( ح ) and haa ( هـ ) are not the same, and that haa exhibits a much sharper sound and is articulated slightly above the ‘ayn. 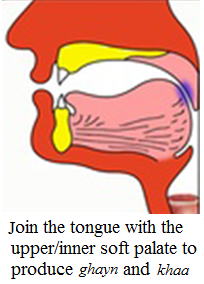 A glottal stop is defined as “a speech sound produced by a momentary complete closure of the glottis, followed by an explosive release”. 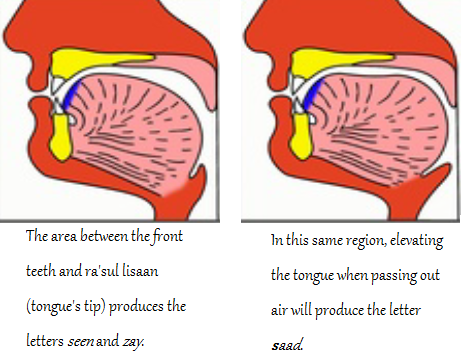 The haa emerges from the same area but just above the hamzah‘s point of articulation. 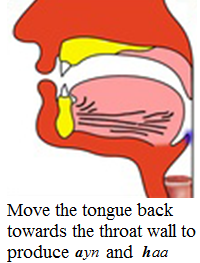 To sum up, the six letters that emerge from the throat are: khaa’ ( خ ), ghayn ( غ ), haa’ ( ح ), ayn ( ع ), haa ( هـ ), and hamzah ( ء ). 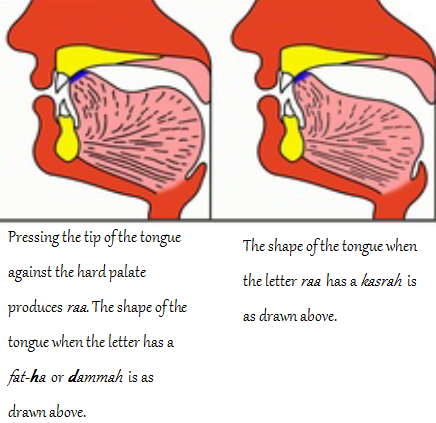 These six letters are called Al-Ahruf Al-Halqiyyah  (the throat letters). So far, this covers a total of 4 of 17 makhaarij. Hope you’re ready to explore some more 🙂 in the meantime, have fun by practicing these articulation points and enjoying the wondrous sounds they produce!